Voice is the instrument that everyone of us has. Someone can't stop to be amazed what an experienced singer can do with her voice. The jewerly of human voice needs to be faceted in order for the voice to show all its power and beauty. Caruso and Shalyapin, Freddy Mercury and Robert Plant, Beyonce and Kylie Minogue, John Farnham and Natalie Imbruglia, Tina Arena and Delta Goodrem, Iggy Azalea and Danni Minogue... You can be the next in this list. Fortunately, the generations of singers have worked out the ways and methods to develop the gift of voice given to all the people. 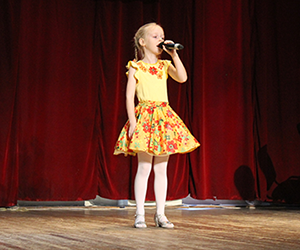 MELODY MUSIC SCHOOL is standing on the shoulders follows the tradition of European vocal school to help you and your kids to present your vocal gift in the best possible shape and form. MELODY MUSIC SCHOOL offers vocal lessons for people of all ages and all skills.